Reports have suggested that Norways Golden Age, a result of the country's oil wealth, is coming to an end. The Norwegian Central Bank’s recent decision to hold interest rates steady, rather than cutting them, as many European economists believe is necessary given the challenges Norway’s economy is currently facing, took the market by surprise. Norway, a country that had escaped the worst of the European financial crisis and has experienced several years of stellar growth, has started to feel the impacts of lower oil prices, and though the effects of that, combined with a serious devaluation of the Norwegian krone – one of the worst performing currencies last year – are as yet muted, some economists believe they could take a greater toll on the economy going forward. Since the beginning of the millennium, Norway’s oil boom led to a marked shift toward an economy based on oil. Resources were steadily moved from other parts of the economy into the oil sector, said Joachim Bernhardsen, an economist at Nordea in Oslo, and today, oil is the nation’s dominant industry. In the longer-term, though, the low price of oil could pose a bigger threat. Oil accounts for about 10% to 15% of Norway’s GDP, said Jack Allen, economist covering Norway at Capital Economics in London. In volume terms, it is true that GDP from the oil sector has actually been falling for over a decade as a lack of new North Sea discoveries, he said, and oil production has dropped by over a third from 3.4 million barrels per day to below 2 million barrels a day. Also, oil companies have been forced to tap increasingly hard-to-reach reserves, thereby increasing their costs, and oil exports have also fallen. Although profits are still high, they are falling, and as oil prices also fall, Norway’s energy sector is becoming less attractive to investors, Allen said. 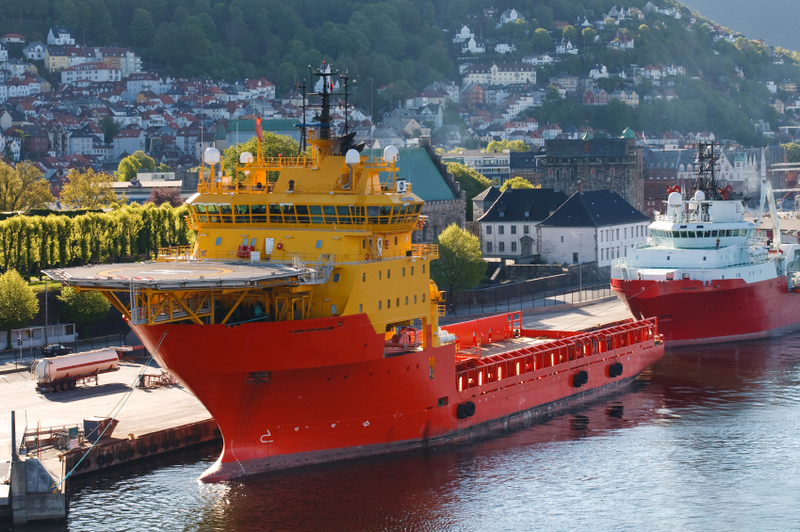 As Norway has become an Oil Economy, “we have pushed out a lot of our competitive industry and the high wage growth we have had here has resulted in a high cost of production,” Bernhardsen said. “Now, this shift in oil investment and a fall in oil prices pushes closer the event we knew would happen: A structural change in the Norwegian economy a shift back to more traditional industries.” Industries that were important to Norway in the past include fisheries and metals, but it’s important to note that the oil boom has also given rise to a strong manufacturing sector, Bernhardsen said. Norway, like other governments in the region, is known for prudent and careful policy and planning and that is something that the country can certainly bank on at this stage. The high wage rate in Norway makes the country less competitive, particularly at this time, but there is a consensus “that we need to adapt to a new level if we don’t want to lose out to our trading partners,” Bernhardsen said. “On both sides of the labor market here, there’s an understanding that we need a period of moderate wage growth, otherwise we will just make things worse for ourselves.” Norway also benefits from a very low unemployment rate, which will prove beneficial as unemployment rises going forward.